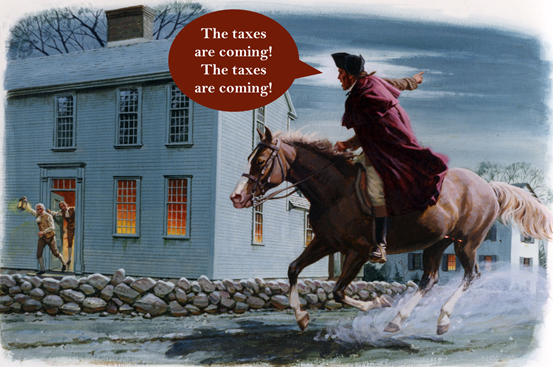 Newsletter: The taxes are coming! Protecting you, the taxpayer, from unnecessary and unreasonable taxes has always been one of my primary goals as your senator. You should get to keep as much of the money you earn as possible. And the state should spend wisely any money it collects from you in taxes. This session, we are seeing a tremendous tax burden being pushed through the Legislature. 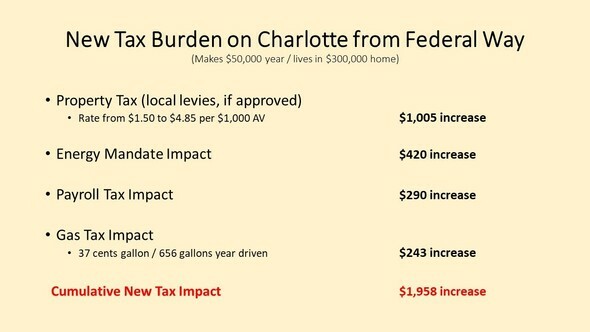 This includes an income tax on capital gains, higher property taxes, a sales tax increase, a 70% increase to our gas taxes, a tax that would raise the cost of home heating fuel, and even taxes on bicycles and woodstoves. You deserve to know how these will affect you — what impact they will have on your life. 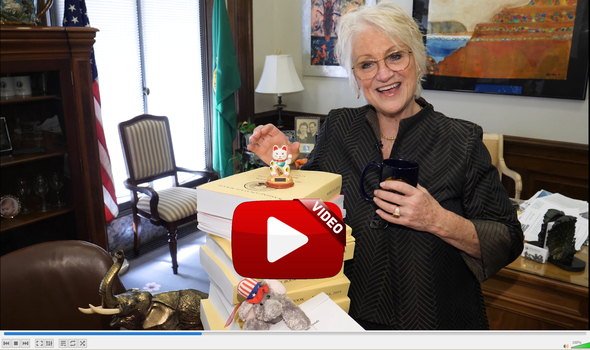 As we go through the rest of session, I’ll include tidbits of information about these taxes in my newsletters, along with a summary of how they would affect a typical Washington citizen. The recently enacted education funding solution involved a decrease in property taxes for 73 percent of the state after it was fully phased in. It resulted from levy reform required by the McCleary decision. Overreliance on local levies benefited property-rich areas and hurt property-poor areas, which usually have larger minority populations. The governor has proposed an income tax multiple times in the form of a tax on capital gains. His current proposal (Senate Bill 5129) is for a tax rate of 9 percent, which would be the fourth highest in the country. Senate Bill 5971 imposes a flat-rate fee of $15 per metric ton on carbon dioxide emissions on the sale or use of fossil fuels within the state of Washington and the sale or use of electricity in Washington-generated fossil fuels. It would likely add 12 cents to a gallon of gas on top of the motor and special fuels excise tax. The unaffordable electricity mandate (Senate Bill 5116) would add more than $35 per month to household electric bills and would continue to increase. Senate Bill 5129 proposes a 67-percent increase in the business and occupation tax rate for services, resulting in $2.6 billion in 2019-21 and $3.1 billion in 2021-23. This is money that should stay in the pockets of small-business owners. Just when you think you might be immune to a transportation tax increase because you ride your bike, Senate Bill 5971 proposes a 1 percent tax on the sale of new bicycles and e-bikes. Those who argue that our tax system is the most regressive in the country rely on a biased report from the Institute on Taxation & Economic Policy, which is the research arm of the biased Citizens for Tax Justice. Its main goal is to promote a full income tax in all states. The unifying feature of states on their “regressive” list is that they don’t have an income tax. And why don’t we? It’s unconstitutional AND Washington voters have rejected an income tax NINE times. Can YOU afford to pay the government another $2,000 every year? I’m so pleased to report that all four of my telemedicine bills this session passed in the Senate and are now headed to the House of Representatives for consideration. I’m especially proud of Senate Bill 5389. It would provide training for school staff to recognize the signs of kids at risk of committing violence or suicide and would provide telemedicine stations where students can receive mental health-care on the spot. Click on the bill to learn more. Senate Bill 5385: Requires that physicians be paid at the same rate for telemedicine services as if they had provided the services in person. Senate Bill 5386: Provides additional telemedicine training for care providers. Senate Bill 5387: Allows facilities providing telemedicine services to rely on a distant facility’s granting of credentials and privileges to physicians providing care. Click here for a list of good and bad bills that passed the Senate before cutoff. Thank you to those who took my survey on criminal justice. This is always a timely topic. But this session, it’s at the forefront with bills that seek to repeal the death penalty, take the teeth out of the “Three Strikes” law, put dangerous criminals back on the street after only 15 years and educate prisoners for free. Where do the people of the 2nd Legislative District stand? Take a look at the numbers. 77.86 percent do not want to ban the death penalty in Washington. 85.38 percent think Washington should keep the “Three Strikes You’re Out” rule. 80.15 percent think those who are sentenced to ‘life without parole’ should not be eligible for release after only 15 years. Thank you to this week’s Senate page! 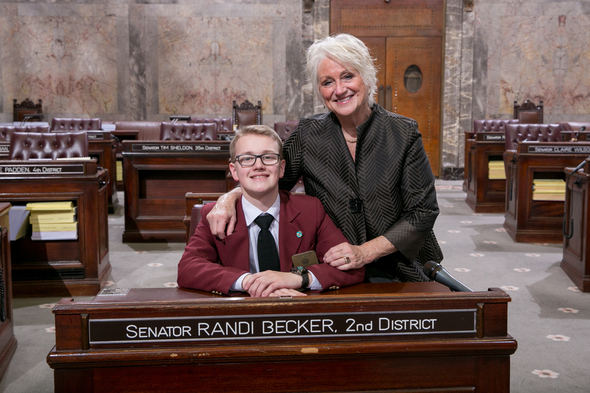 Thank you to Alexander Vance from Spanaway for doing such a great job as a Senate page this week! He is a 9th grader at Graham Kapowsin High School.